The term ‘Mil-Spec’, as it applies to hinges, is an abbreviation for ‘Military Specification’. The abbreviation is also synonymous with military standard hinges that are typically manufactured for the U.S. Department of Defense. End users could also include prime government contractors and subcontractors. Other labels that denote Mil-Spec hinges would be: M.S., MIL-STD, or MilSpec. Specification and standardization are key aspects of Mil-Spec hinges since their designs denote the necessity for hinges to possess vitally-required and precise characteristics that 1) align with military standards and 2) are compatible with similar defense-related products and the objectives for hinge use. Mil-Spec hinges are often fabricated with highly precise knuckle characteristics, and very tight manufacturing tolerances. Regardless of each unique design, these types of hinges meet a very high standard- and are generally considered far superior in reliability, performance, and interchangeability than their commercial counterparts. For this reason, Mil-Spec hinges have been seeing an increase in utilization in critical commercial applications. After it’s all said and done, mil-spec hinges ensure: 1) compatibility between two or more parts that will operate simultaneously, without problems, 2) interoperability; hinge interfaces will work with current products, as well as products that might be employed in the future, without restriction on function, 3) safety; dependable operations without error, ensuring a risk-minimized environment, and 4) quality; which equates to superiority in materials, workmanship and standards as set by the U.S. Department of Defense. Mil-Spec hinges come in a wide assortment of designs and materials, including extruded Aluminum, Steel, Stainless Steel, Aluminum, and plated hinges. 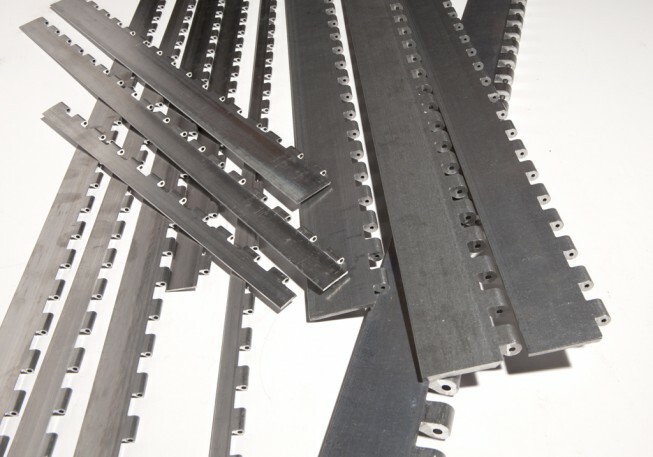 Holes, slots, special finishes, lengths, and pin retention are often specified, resulting in hinges customized to meet highly-specialized needs. Whether of a more ‘standard’ nature or custom design, Mil-Spec hinges have a use in every conceivable military platform or application. Applications utilizing Mil-Spec hinges include heavy-duty door hardware embedded in military armored vehicles. Heavy-duty Mil-Spec hinges are unmatched for their immense load-bearing capabilities. These types of Mil-Spec hinges can easily withstand heavy shocks and constant vibration. Outfitted with grease shields, these hinges are ensured long life reliability, as harsh chemicals, solutions and other contaminants from the environment are repelled. Additional applications include robotic exoskeletons currently being developed by the U.S. Special Operations Command, which will enable soldiers to withstand small-arms fire and bomb blasts, as well as monitor vital signs, and enhance soldiers’ tactile sensation. These suits, known as Tactical Assault Light Operator Suits provide mobility that is extremely dependent on highly-specialized Mil-Spec hinges, which permit ease of movement of one’s head, arms, hands, legs, and feet. The knee stress release component, for example, can impressively increase the wearer’s mobility and greatly enhance the operator’s load-carrying capability. Thanks to Mil-Spec hinges that partner seamlessly with other vital components, America’s military is taking combat technology to new heights!